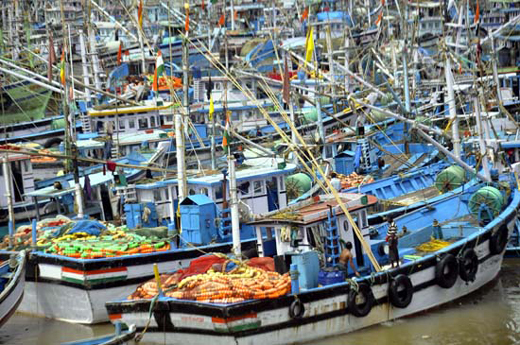 Udupi: August 1, 2015: The Fisheries Department has hastened the process of direct benefit transfer (DBT) of diesel subsidy to fishermen. While Rs. 4.73 crore has been released towards advance subsidy for August, the department is equipping diesel bunks in fishing ports with necessary equipment to record and transmit the sale of diesel to fishermen. Based on the average consumption of diesel by each fishing boat between March-May, the average subsidy amount for one month has been arrived at and it had been deposited to the bank accounts of 1,160 fishermen who have come on board the direct benefit transfer, said M.D. Prasad, Deputy Director of Fisheries, Dakshina Kannada and Udupi districts. The National Informatics Centre (NIC) has developed special software for the smooth running of the DBT. Diesel bunks in ports are being equipped with computers, printers and internet facility. Responding to fishermen’s reservation towards DBT of subsidy, Mr. Prasad told The Hindu that it is a policy decision taken by the government. Governments, at the centre as well as States, have now made DBT mandatory for every kind of subsidy, he noted.